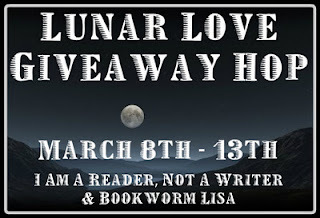 Foresight Chronicles: The Blog: The 2nd Annual Lunar Love Giveaway Hop! 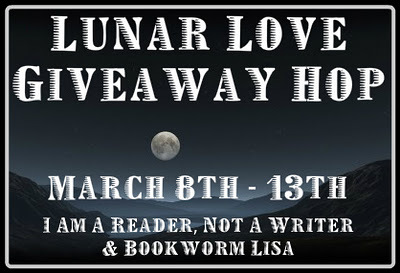 Welcome to the The 2nd Annual Lunar Love Giveaway Hop, hosted by I Am A Reader, Not A Writer & Bookworm Lisa. As anyone knows who has read my Night Children books, I love the moon. When I'm prowling the night with my three wolves I see that glowing orb and smile, but on those special nights when the moon glows richly, dominating the night with it's illuminating presence, I can't help but stop and stare at it. This hop allows me to share with you a sample of adventures featuring one, like I, who feels empowered by that lunar orb. I'm talking of course about vampire child Annabelle Foresight. The prize for my participation in this Hop? 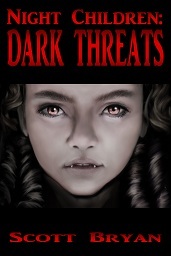 Why NIGHT CHILDREN: DARK THREATS. All you have to do is follow this blog and post a comment if you're interested in taking home this book. I follow your blog on GFC elaineb1 or elaineb1@ymail.com thanks for the giveaway! I follow via GFC, Annah Schoonover. I would love to read this book! Thanks for having a giveaway. I follow on GFC, Annah Schoonover. I would love to read this book. Thanks for having a giveaway! Sounds like a fun read. I'd love to read it. Thanks for the chance to win a copy. Vampire children sound pretty creepy! I'd love to win a Kindle copy, thanks! I follow your blog using GFC, my user name is melinda dartmann and I would love love love to take home this book! This story sounds interesting! Thanks for the chance! I've never heard of this book before. It sounds pretty good. Thank you so much for a chance to win and for being a part of this fun and awesome blog hop!! I like the idea of the story being about children instead of adults would be a good change. Thanks everyone! I'll announce the winner this Friday!